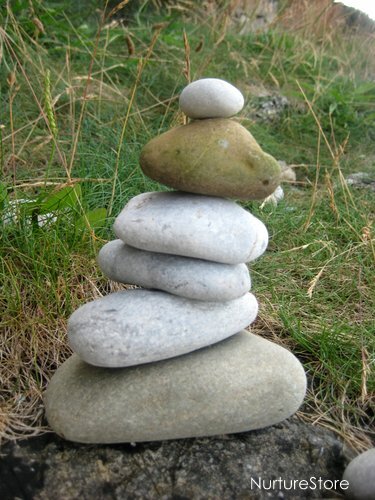 A cairn is a man-made stack of stones, found all over the world, marking special places and used since ancient times. 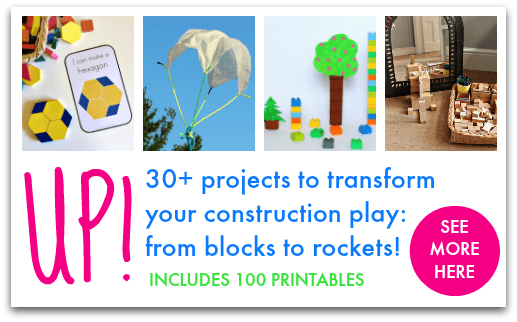 They are also lots of fun to build with your children. When you’re at the beach there’s no end to the loose parts on offer for play. Start by hunting out the perfect pebbles. Flat stones are easier to balance, or go for a mix of shapes if you fancy a challenge. 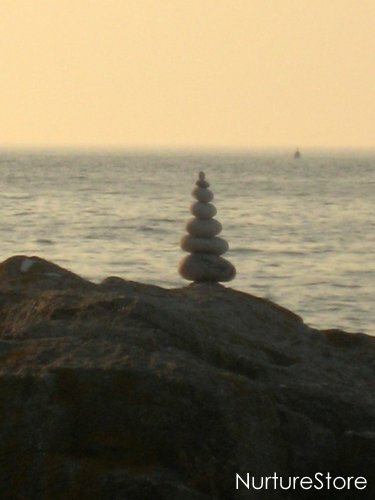 or build a tall, narrow tower, with one pebble on top of another. 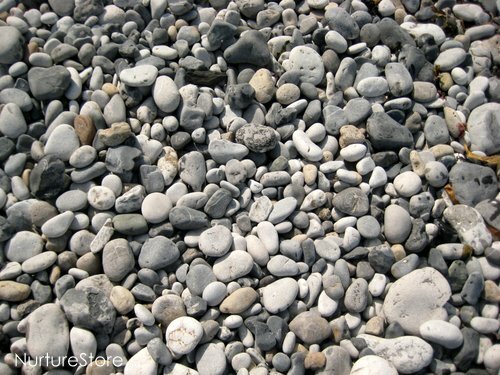 You can pick all your pebbles so they are the same colour, or mix in different ones to create a design. You can add small stones or shells at the very top for a final flourish. :: explore the beach and discover the natural materials available for play. You might find other treasures while you beach-comb for the perfect pebble. We found shells, a mermaid’s purse and some fossils. :: learn about constructing in three dimensions and consider how you need to adapt your design to get your cairn to stay upright. :: concentrate. It’s good for children to have a task that requires them to be quiet, think, and focus just on what they are doing. Building these towers is a mini meditation. 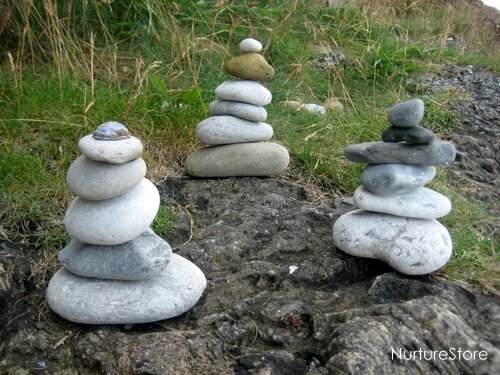 My children were silent as they fixed their attention on getting their stones to balance. :: create something beautiful, for others to discover after you have left the beach for the day. 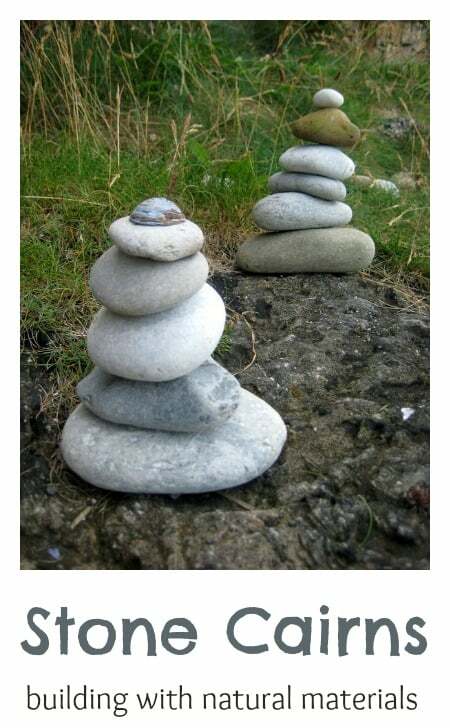 These are art installations that might inspire others to take up the challenge and see if they can add a cairn to the collection. I don’t know why, but I’ve always preferred this kind of zen building to something precise, like Legos. This way is so free-form and unpredictable. And it doesn’t have to be anything in particular, so there’s no disappointment if what you wanted to build doesn’t turn out. And it’s so much nicer to see creativity expressed this way in nature, rather than via graffiti or tree carvings. Yes, an excellent teaching tool. I approve! Thank you Chris. I think the pebbles have the advantage of having such a lovely sensory texture too. My absolute activity for a sunny day — even as an adult. We have built cairns in several countries on our travels. Such a peaceful activity. 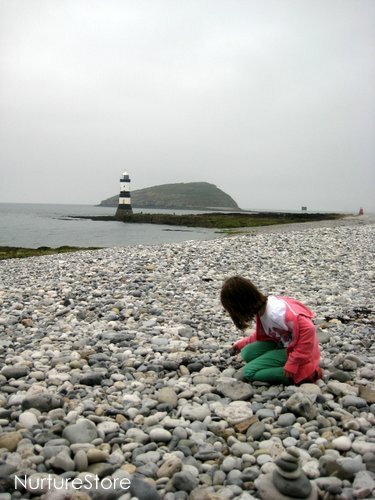 When you come to visit us in the states, I have the PERFECT beach with the most glorious pebbles and stones. 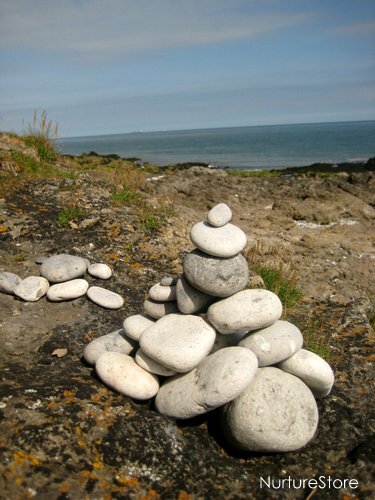 How I wish I could attach an image for you to see of a sculpted cairn that others left for our appreciation. TOWERING! Amazing. 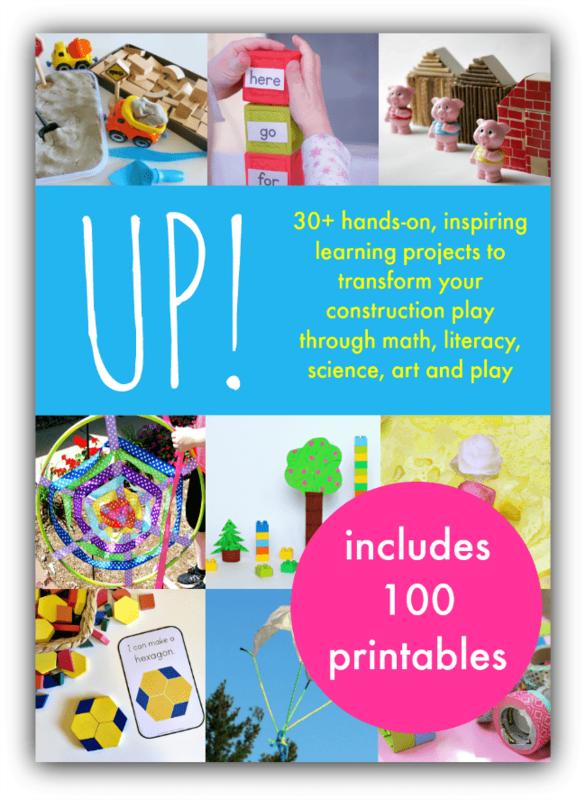 I especially appreciate your addressing the concept of loose parts. We often holiday in the Isles of Scilly, and you see these ALL over the place – often entire beaches full of them. I always wondered who it was who had the patience to make them all – but perhaps I should give it a try myself! Yes, give it a try Henry – it’s a good fun and great for concentration!